Introducing content management as a service: Our collection of APIs helps developers manage, integrate, and deliver digital content across all types of clients, devices, and platforms. Speed up your development cycle. Powerful APIs, well-documented features, and working demos help you prototype with ease and build sophisticated apps faster than ever before. Our stateless API with compact JSON payloads gives you full programmatic control over your content management system, including assets, translations and other versions. The fully decoupled write & read APIs ensure a fault-tolerant service that evolves without breaking your CMS or apps. Advanced caching techniques are integrated tightly with external CDNs to deliver API payloads in the sub-100 ms range. Your content will be fully optimized to deliver stellar mobile performance thanks to selective sync, image auto-compression, and support for offline persistence. Escape tedious CMS chores and departmental gridlock. 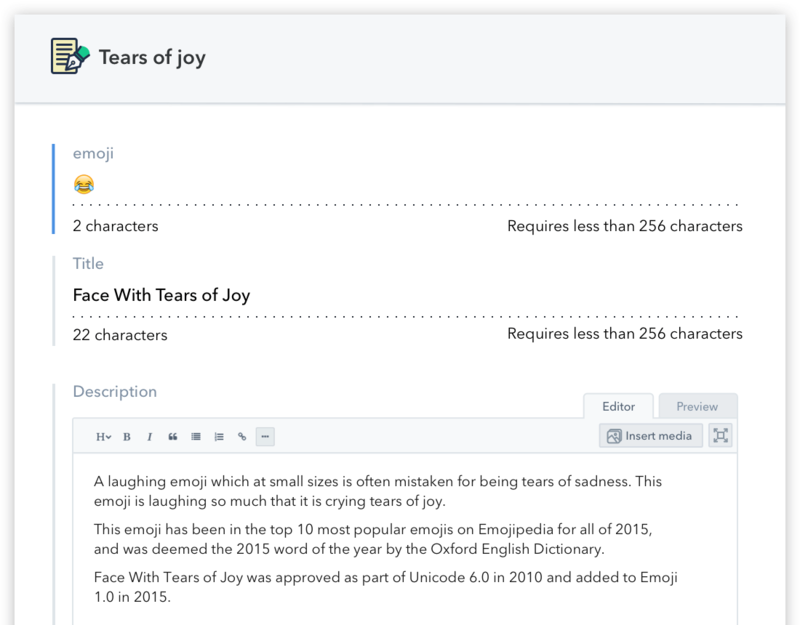 The web app empowers editors to create unique content on any platform, in record time, and independently of the IT department. More than a text editor. A beautiful web app built for authoring all types of content - text, location, dates, collections, JSON snippets, and more. Pick a language. Or two. 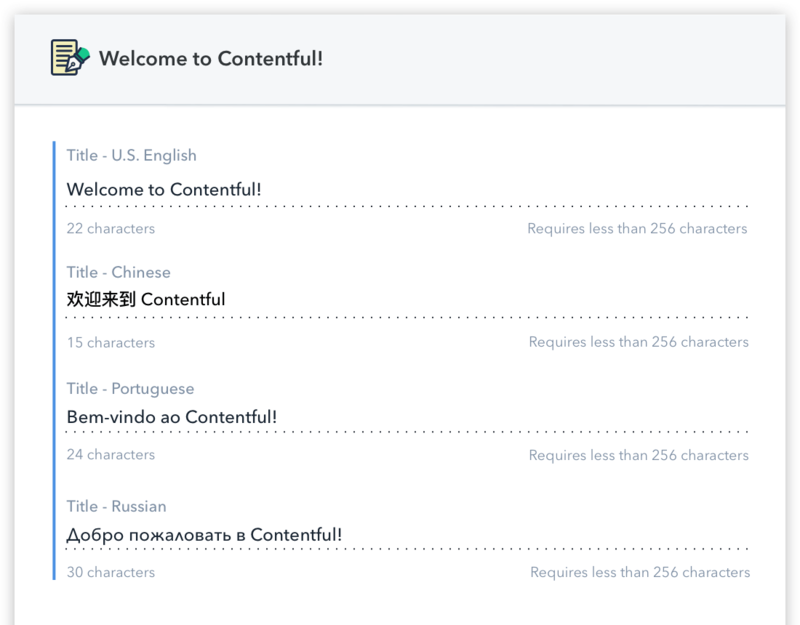 Publishing in multiple languages is stressful, but granular locale settings help you launch on time, every time. The default roles and access rights keep your content safe and team members productive at every stage of your business journey. Create custom content types, pick and choose individual fields, and arrange entries in flexible hierarchies. Go professional from the day one. From highly reliable infrastructure and continuous performance monitoring to expert advice and flexible pricing, we keep your business on a solid footing. Easily manage environments, collaborators, billing, and access with individual spaces and organizations. Plan overages help you handle traffic spikes or expand the team while keeping your expenses in check. Host your content on the cloud platform monitored by the engineering and support teams 24/7/365. Single Sign-On based on SAML 2.0 greatly simplifies managing user accounts, especially when their count is close to triple digits. Discover the platform extensible all the way down. 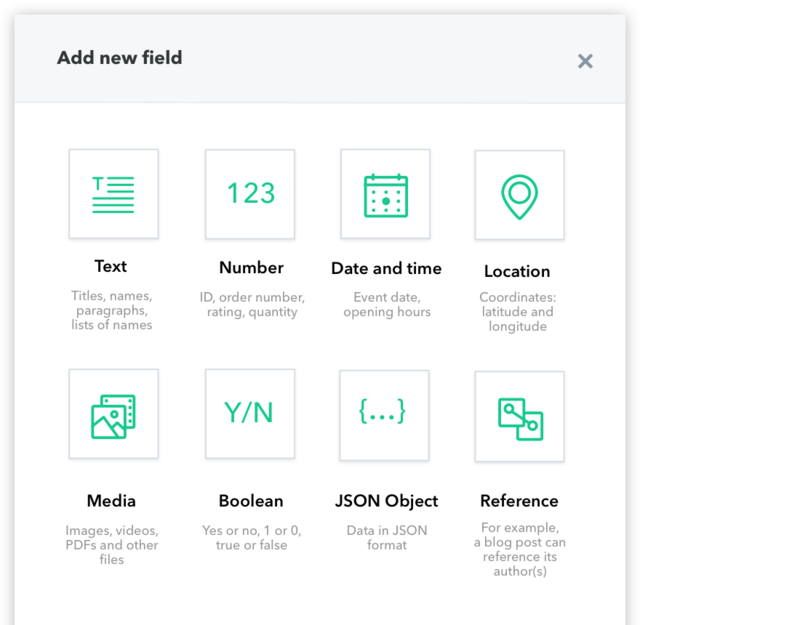 Add new ways of managing content to the web app, tap into third-party integrations, and work in the programming language of your choice. With read & write SDKs for popular languages available out of the box, you can go straight to prototyping. Powerful, configurable webhooks allow you to integrate Contentful with any API service out there. UI extensions allow you to customize the web app with new ways of creating, managing, and consuming content. Skip the legwork with libraries and demo apps built for popular use cases. Use multiple access tokens to limit content access by device or environment type. Host & manage all your assets in one place, update source files without breaking public links. Preview drafts and completed entries without worrying about leaks or service disruptions. 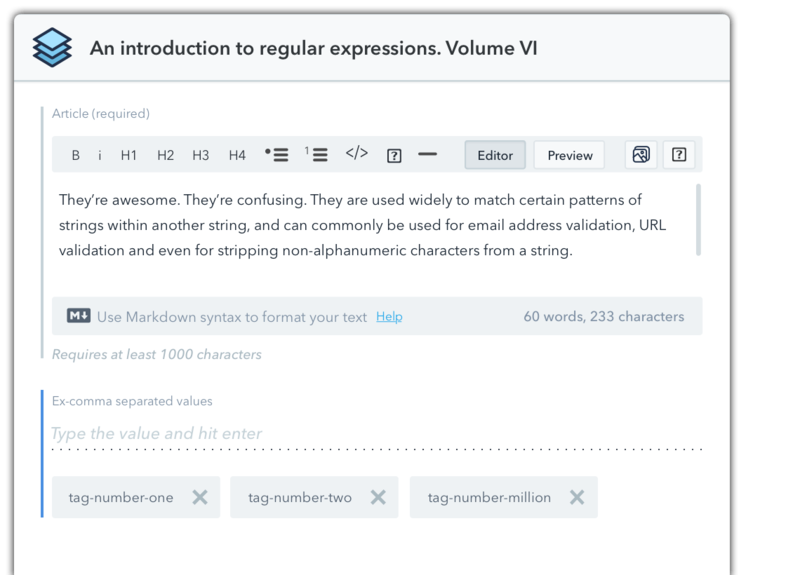 Write faster and publish wider with the built-in Markdown editor. 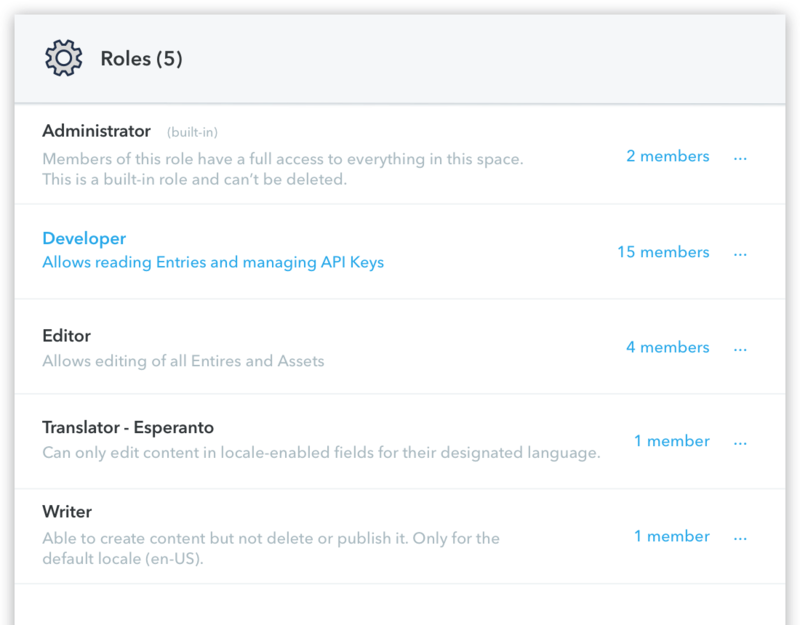 Enable teams to work with externally-hosted content directly in the web app.